Put stuff in and dump it out. It sounds simple, but the fascination for a 3 year old with this process is endless. 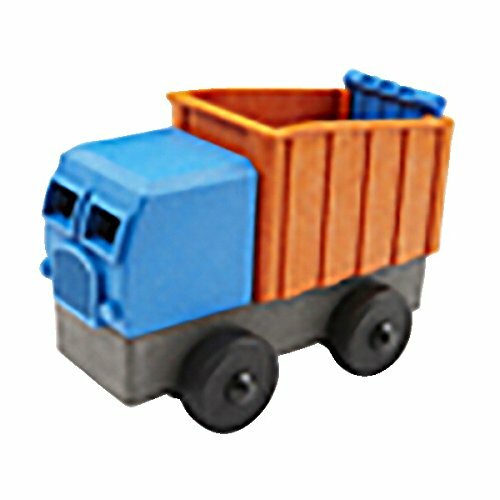 Our dump truck is a simple 4 part puzzle that rewards the child with a working truck. The fit of the parts is designed with a little wiggle room so there's no frustration as the child's motor skills are developing. No batteries or buttons to push. These toys are powered by imagination! Teaches problem solving and fine motor skills.